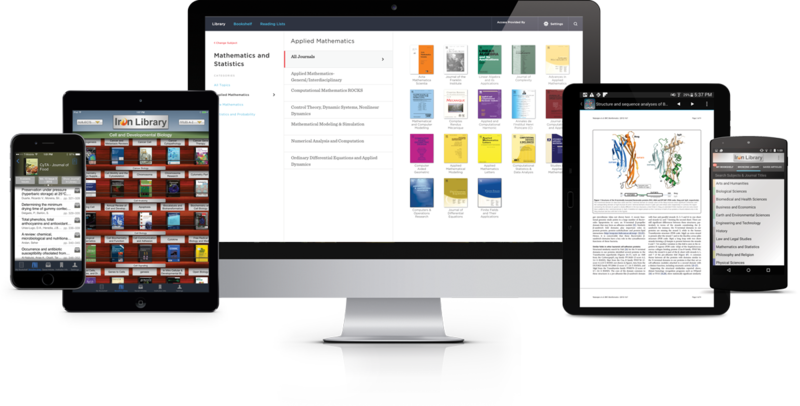 Information about BrowZine, a tool that lets you browse, read and monitor the latest scholarly journals. BrowZine is an app for Apple or Android smart phones and devices that helps you flip through the scholarly e-journals available through Purdue University Libraries. Browzine has sorted Purdue's e-journals into broad subjects and then into narrower disciplines. You can save and organize your most-used e-journals on virtual bookshelves saved to your account. The result is an easy and familiar way to browse through, read, and monitor scholarly e-journals across disciplines. 7. Click Sign up create an account. You do not need to use your Purdue Career Account here, but if you use BrowZine from off-campus you will be prompted to authenticate using your Career Account. 1. Download the free BrowZine app by going to the app store for your device and search for "browzine." 2. Select Purdue University from the library list. 3. You will be prompted to log in with the account you created in the Browzine web app. If you use BrowZine from off campus, you will be prompted to authenticate with your Career Account.